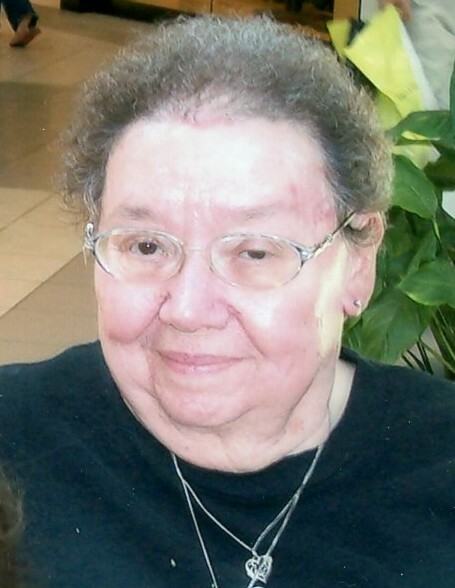 Mrs. Valerie Jean “Jeanie” McMullen Stamper, 84, of Greens Fork, was called home to be with the Lord on February 4, 2019. She passed away at home surrounded by family. She was born in Wayne County, Indiana on July 25, 1934 to Clyde and Bertha Long McMullen. She was one of ten kids. She married Herbert Stamper and was blessed with two children, Jerry and Karen. Jeanie was a graduate of Greens Fork High School and was an active member of the Greens Fork Alumni for years. She worked early in life at Woolworths and later at Avco as a timekeeper. She later retired from Belden. She ran the Greens Fork Little General Store for years and was also an Avon consultant. She loved crocheting, knitting, cooking and being with her family and friends. Jeanie will be missed by her son & daughter-in-law, Jerry & Janet Stamper; grandchildren, Dee (Joey) Reisert, Jeremy (Nikki) Stamper, Missy Peters and P.J. Hildebrand; 11 great-grandchildren; two sisters, one brother and several nieces, nephews, great-nieces and great-nephews. Jeanie was preceded in death by her parents, husband, Herbert Stamper in 2007; daughter, Karen Jean Hildebrand in 1988; nephew, James Charles, three sisters and three brothers. A graveside service will be held in Greens Fork South Cemetery at 11:00 a.m. Friday, February 8, followed by a dinner at the Greens Fork Community Building. Memorial contributions are encouraged for the charitable organization of the donor’s choice.